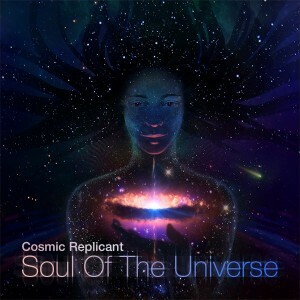 Soul Of The Universe is the first independent album release by Cosmic Replicant, following previously released albums on Altar Records and Supersensitive from Pureuphoria Records. This album was inspired by dreams, thoughts, and experiences as well as by the works of various musicians, artists, film directors, science fiction writers, and life itself. The intention is to give a listener a joyful listening experience while being guided into a dreamlike state of mind. Thanks to Siebzehn for agreeing to include a remix of his song “Endless Reflections” and big thanks to Philipp Borisov for his help in the creation of this album. Mastered by Philipp Borisov (Parahype) with cover design by Elena Ukolova (Ulsei). Music by Pavel Shirshin, Kazan, Russia. MP3 Download | FLAC Download | WAV Download · Download count: 17,973. I love it that she’s holding a doughnut! Just the sound that I LOOOOOVE! congratulations with new release and thank you! Павлу, земляку – респект большущий! Отличный альбом, так держать!!! wow very beautiful release! Takes you to another world. This really made my day. Just the kinda music I needed today. Great album!!!! Highest quality in production skills!!!! Very Very good subtil downtrance ! The best deep trance I have ever listened to. Sheer bliss. Amazing. In this song, 07 – Soul of the Universe – I think there is a mistake at the bass. Really like this album. So much so, I made this animation video to accompany it.